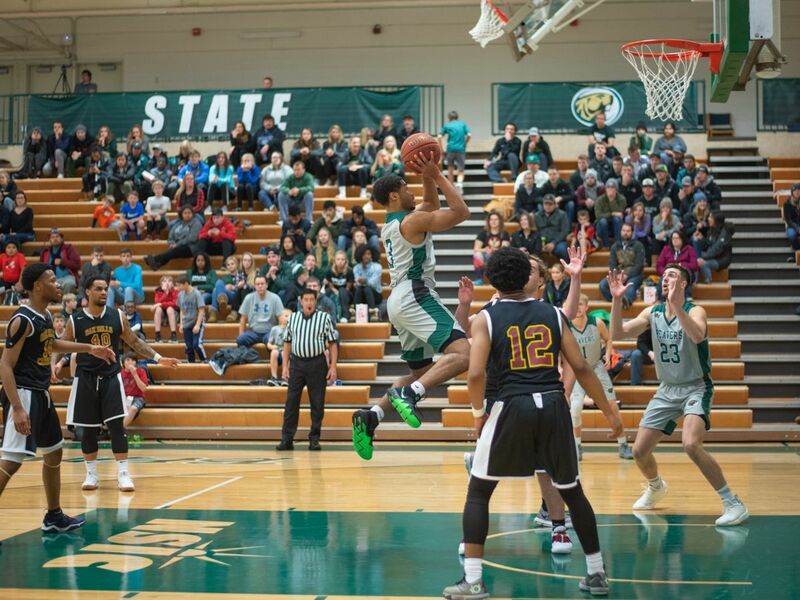 The Bemidji State University men’s basketball program came back from an early deficit but ultimately fell to Southwest Minnesota State University, 84-62, despite winning inside battles. The Beavers won the battle for points in the paint and rebounds despite falling to 7-13 overall and 4-12 in the Northern Sun Intercollegiate Conference. A group of Beavers helped bring the team back from a 12-0 deficit to start the game, scoring 10 of the next 12 points to trail, 14-10, just over six minutes into the first half. The Mustangs followed to force three Beavers turnovers en route to a 10-0 run for a first-half-high 14-point, 24-10, lead. BSU chipped away at SMSU’s lead before closing the first half on a 15-5 run. Five Beavers scored during the run, led by sophomore forward Derek Thompson with four points, as BSU trailed, 39-33, heading into halftime. Four Beavers reached double-digit scoring, led by junior forward Logan Bader with 12 points on 5-of-9 shooting from the field. Junior guard Ja Morgan, sophomore Zach Baumgartner and Thompson followed with 10 points each. Bader also led the way with eight rebounds.